In my previous blogs, I have addressed the significance of the heifer (Full of Life), female goat (Hindsight is 20/20) and the ram (Get Clean). Today, I want to bring attention the fact that the poor were allowed to substitute these animals with turtle doves and pigeons. The poor, widowed, orphaned and foreigners are very important to God and He has much to say about their treatment. God’s statutes always stressed fairness and gave the needy opportunity for employment and dignity. Abram and his descendants were to live a lifestyle that contrasted from the peoples of the surrounding nations. Treatment of the poor would be foundational for the moral fiber and well being of the future Israel. What challenges did the poor encounter? It would not be unusual for the court systems to exploit the needy and favor the rich. They were not respected or recognized as a people with rights and were often abused (Exodus 22 & Ezekiel 18). The poor would be overcharged in taxes and in rent payments. When acquiring a loan, they would be charged with exorbitant interest. This would leave little or no money left for food and clothing (Exodus 22). What are the moral and legal obligations God set in place to protect the poor? The Bible is clear on this matter. Proverbs 22:22 NLT, "Don’t rob the poor just because you can or exploit the needy in court." Psalm 82:3 NLT, "Give justice to the poor and the orphan; uphold the rights of the oppressed and the destitute." There were laws constituted in the Old Testament that allowed the poor to glean from the harvest of crops. Those who were blessed would not strip the vines clean but allowed remaining grain and vegetables to be leftover for the poor and foreigners to gather for their own consumption (Exodus 23 & Leviticus 19). The Israelites were ordered not to be tightfisted with their poor but to give generously to those in need. It was also commanded of them to pay the poor before sunset so they could make their purchases, pay their bills, and preserve their families from unnecessary hunger and suffering (Deuteronomy 24). What happens when we take care of the poor? Honorable rulers who dispense justice will establish a stable government. Proverbs 29:14 NLT, "If a king judges the poor fairly, his throne will last forever." God records that anyone who is kind to the poor removes generational curses over themselves and inadvertently their families. Ezekiel 18:17 NLT, "He who helps the poor, and does not lend money at interest, and obeys all my regulations and decrees, such a person will not die because of his father’s sins." God promises to deliver those who are compassionate towards the poor. Psalm 41:1 NLT, "Oh, the joys of those who are kind to the poor! The Lord rescues them when they are in trouble." Benevolence from the outlining community towards the needy allows God to bless the city with affluence and wealth. Psalm 132:15 NLT, "I will bless this city and make it prosperous. I will satisfy its poor with food." How does God feel about those who look down on the poor? God attitude is that anyone who oppresses or mocks the poor insults and dishonors Him personally. People who revel in the misfortune of the poor and needy open the door of retribution upon themselves (Proverbs 14:31; 17:5). God hears the cries of the needy. As God's representatives, our treatment of the poor is a demonstration of His love and compassion to them and to the rest of the world. Let's be a light. Be a benefactor. As Charles Dickens once said, 'Mankind is our business'. Micah 6:8, "Do what is right, love mercy, and walk humbly with your God." I am sorry for the times I had considered myself superior to the needy in any way. You want us to be benefactors so we can help those in need. We are not to oppress the unfortunate in any way. It is Your desire for our nation to treat everyone fairly. 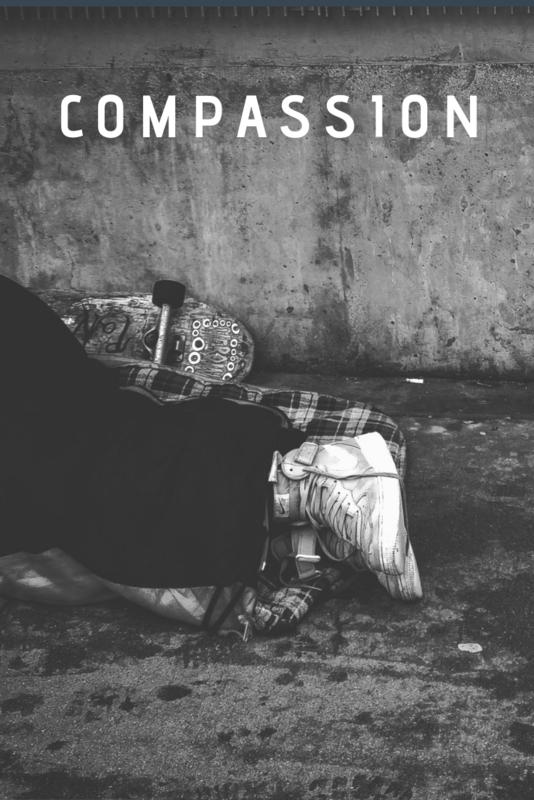 When we are compassionate toward the poor, You will bless our cities with prosperity and rescue us from trouble. Help me to be conscious of how I can provide resources and opportunities for those less fortunate than myself so they can improve the quality of their lives. In Jesus Name, Amen.